Nine little stitches, that's all it took for me to suddenly realize the truth: that whatever I did, whatever I risked, however much I tried to fit in, I would never be one of them. I would never have a hall, or earn the respect I so clearly deserved. I would never be a god; only ever a dog on a chain. Oh, I might be of use to them now and then, but as soon as the current crisis was done, it would be back to the kennel for Your Humble Narrator, and without as much as a biscuit. I'm telling you this so you'll understand why I did the things I did. I think you'll agree I had no choice; it was the only way I could retain the little self-respect I had. There's such purity in revenge, unlike those other emotions I'd had to endure in Odin's world. Envy, hatred, sorrow, fear, remorse, humiliation - all of them messy and painful and quite spectacularly pointless - but now as I discovered revenge, it was almost like being home again. Home. See how they corrupted me? This time, with nostalgia, that most toxic of their emotions. And perhaps with some self-pity as well, as I started to think of all the things I'd given up to join them: my primal Aspect; my place with Surt; my Chaotic Incarnation. Not that Surt would have understood of cared for my belated remorse - that too was the product of their pernicious influence. Hence my hunger for revenge, not because I expected a reconciliation with Chaos - not then - but because the urge to destroy was really all I had left. Well, quite. Now I'm done letting off vicarious steam, I'll admit that I don't think much of Loki's choices even though I get them. It can be a fine line between justice and revenge, given that his complaints are broadly accurate, but someone who fails to recognize its existence is broken. In narratively interesting ways, if they're Loki. It's a brilliant book, by the way, and lots of it is also very amusing. It's another exploration of Loki's status as a liminal being. 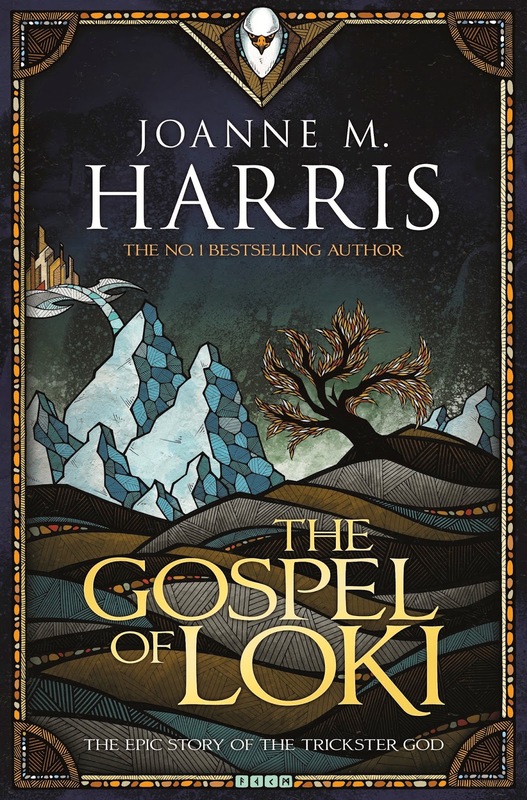 I suppose a character could be super-liminally interesting by exploring that boundary between revenge and justice, but that's wasn't Loki and Joanne Harris's book adheres pretty closely to the original mythology.